Both black and brown bears proliferate in Alaska. 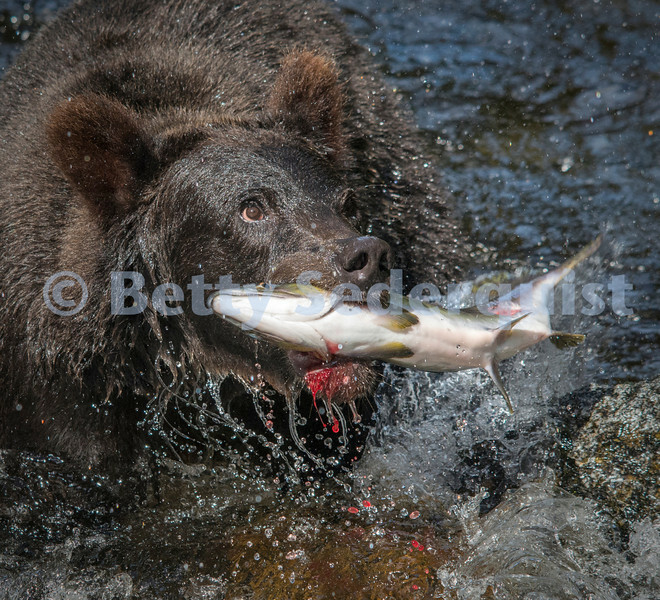 A black bear bites into a salmon, spewing blood. At Anan Creek, Alaska.